Each year, over 500 billion aluminum beverage cans are manufactured and distributed globally and nearly all of these share the same essential shape. Cylinders make good drinking cans. The shape can stand upright on tables and fits comfortably into hands, but that is by no means the entire story. 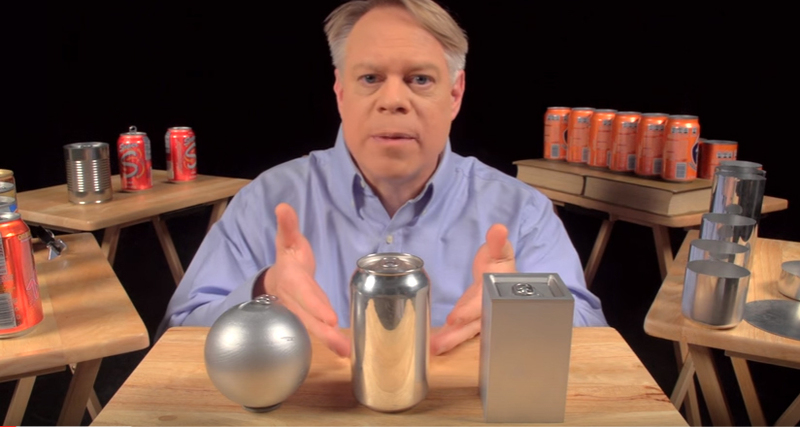 In this excellent video, Bill Hammack (AKA Engineer Guy) illustrates just how much thought goes into every last detail of the ubiquitous soda can, starting with the hybrid shape they have in common. 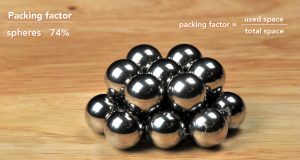 A spherical can would make a lot of structural sense, using less material per unit of volume and subject to uniform stresses (no weak edges or corners). However, it would would roll off tables and be inefficient to pack and ship. 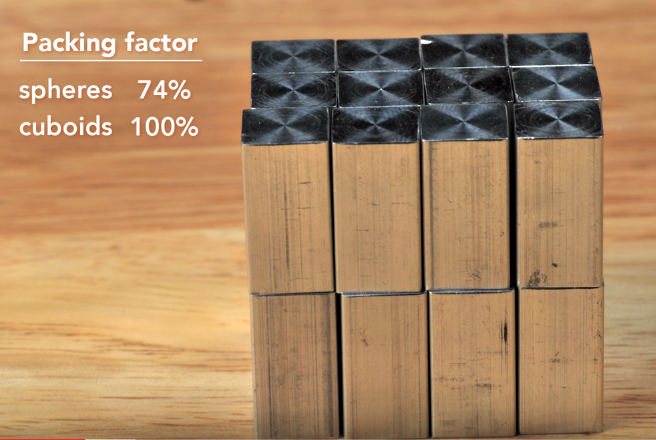 A cuboid shape could sit on a table and pack with no wasted space. It would, however, be awkward to hold when taking a drink. Also, its edges represent weak points needing extra reinforcement. Resembling a sphere from the top and a cuboid from the side, a cylinder has elements (and advantages) of both shapes. Among other things, it can sit on a table (like a flat-sided cuboid) and rest comfortably in your hand (thanks to its rounded sides). 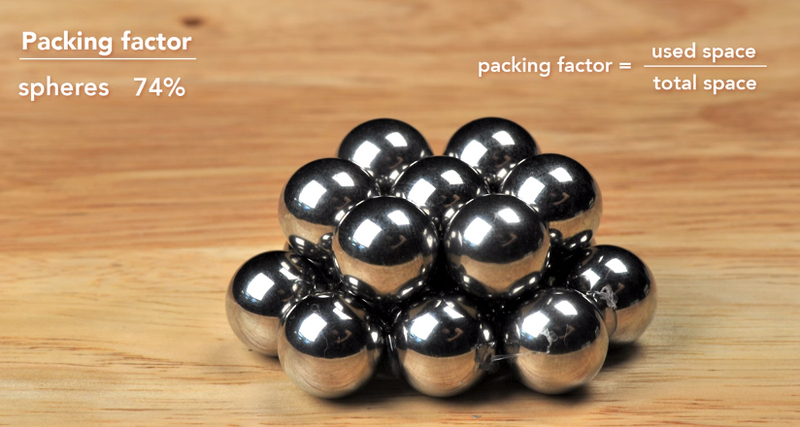 Cylinders can be packed far more efficiently than spheres, though not quite as well as cuboids. They can also be rapidly manufactured as shown below. 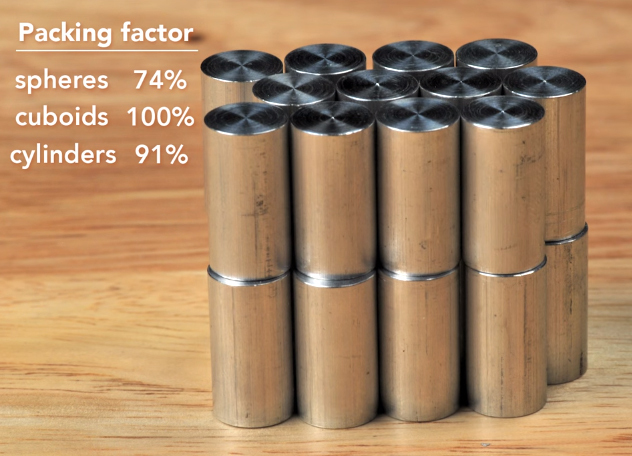 To make a can, a flat metal blank is pushed through a die, forming a cup. The process is repeated until the can reaches a target height, shape and thickness. A doming tool is then used to make a rounded impression in the bottom. This arched shape requires less material than a flat bottom, thanks to the strength of the form. It distributes loads horizontally and vertically (the same way a dome works in an architectural setting). The top of the rounded cup-shaped can is brought in, forming a neck. 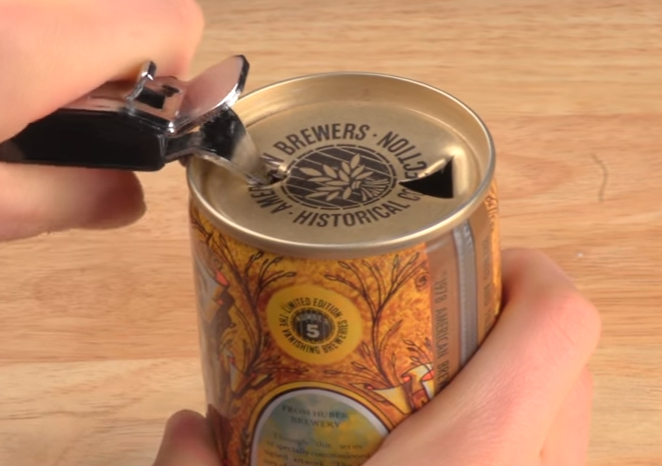 A machine curls the can cover, connecting it to the body using a clever and robust double seam. The internal pressure of the sealed can helps strengthen its thin sides, exerting force outward. The sides behave like a chain: strong in tension, weak in compression. Thanks to internal pressure, soda cans don’t need corrugations like un-pressurized food cans. With the can shape settled, there is still one key missing piece: a mechanism to open these objects so we can consume what is inside. Originally, flat-top cans (left) had no tabs and required two openings, one to drink and one to vent. Pull tabs (below) were a step in the right direction. Still, by being fully detachable they contributed to public litter and were sometimes swallowed by children. Finally, in 1974, a physician named Lee Rogers swallowed a can tab himself while watching a sports game and decided to raise tab risk awareness at a medical conference. The issue went viral in the news and companies were compelled to come up with something new. Daniel F. Cudzik, an engineer with Reynolds Metals, is generally credited with developing the modern stay-on tab as we know it. This variant is a particularly clever work of engineering. The rivet acts as a fulcrum for leverage (i.e. the tab lifts a rivet). 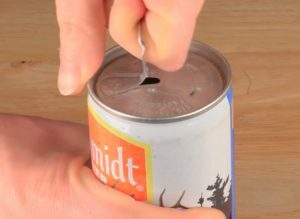 Then the rivet pivots to provide the leverage needed to depress the opening opening, releasing the pressure and letting you into your beer or Coke Zero. Among other benefits, the stay-on tab has helped save millions of pounds of aluminum. Since so many cans are made annually, each bit of optimization has a huge payoff in terms of costs and materials. 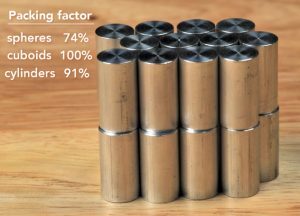 Making parts of cans just a few millimeters thinner can add up to hundreds of thousands of pounds of metal saved annually, reducing material waste. Even finishing touches and design elements that might seem random or secondary can serve important functions. 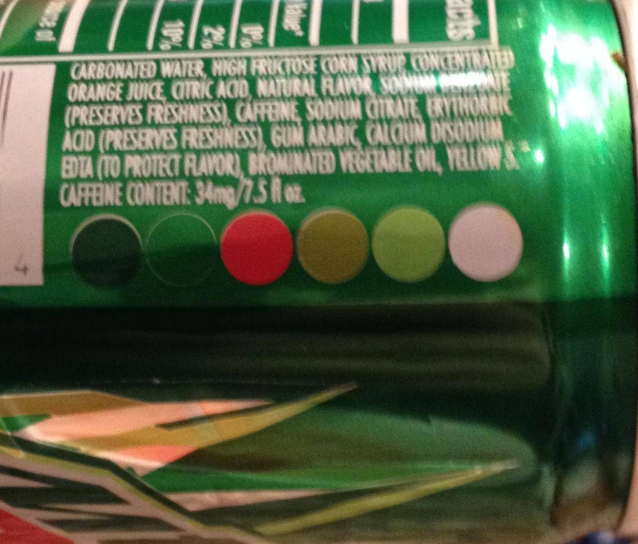 On some cans, for instance, you can find a series of colored dots near the nutritional information. During the manufacturing process, a number of different machines apply each color. Thus, if anything is out of alignment, the problem can be traced back to a single machine in the production line without stopping the entire system. Many design objects are the result of iteration and invention, and the can is no different. Since it was introduced, the drinking can has been modified and improved. Still, the persistence of its hybrid basic form is stunning in light of how most other engineered products evolve over time. It would seem that this purpose-suited shape is here to stay. Special thanks to Bill Hammack the Engineer Guy. 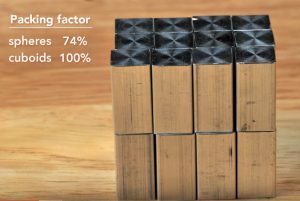 Tune into his YouTube channel for more insights into everyday engineering processes, problems and solutions. Sometimes a mustache hair will get caught in the pull tab. Dang that hurts!